A couple months ago I had written a post regarding a new twist on resumes. The post went over a couple ideas on how to add a little something extra to your traditional resume. Today, I would like to revisit this topic and also add some more suggestions and details on how to make your resume outshine the others. A recent Twitter chat on Friday called #HRTechchat revealed that many other recruiters and HR professionals believe that the traditional resume is dead and had strongly suggested that job seekers find other means to display their abilities and eligibility for a job. Therefore, a few suggestions below might help make a positive impact in job seekers’ searches. Spruce up your traditional resume: Although HR professionals and recruiters claim that this is “dead”, it is still used when applying for jobs. Consider your resume as just one piece of the puzzle and a way to get a foot in the door. Make sure your resume is updated to have relevant information. Add industry specific keywords to make it more searchable. Reformat your employment details to use verbiage that matches the job postings you’re applying to. Include specifics of size and scope to help employers see how you’d fit in with their specific company needs. Determine what you would like your personal and professional brand to be: Even if you aren’t a marketing guru, it is important to learn how to sell yourself. Make sure your resume reflects the brand, job, and industry you are targeting. Network with relevant people to show your knowledge on this subject. Help others, volunteer, and try to become the “go-to” person in your networking circle. Put yourself out there and make it known that you are the epitome of this brand. Show results: Many recruiters and employers rely heavily on results. You can say that you’re capable of “x, y, and z” duties but unless you find a way to put tangible results as supporting documentation, it won’t be seriously considered. Build a portfolio if you can or even get creative and make an infograph of your experience and results. This can help add a quick, visual document that can show recruiters that not only can you perform the duties, but you are also successful at them. Job seekers- you need to do your due diligence in your job search. Recruiters are bombarded with resumes and eventually they all look the same. In this day and age, you can no longer simply submit a resume and assume that it will get noticed. You need to set yourself apart from the mundane masses and find other ways to capture employers’ attention. Set yourself apart, brand yourself, and make yourself searchable. Doing these simple things will help you land a job faster. 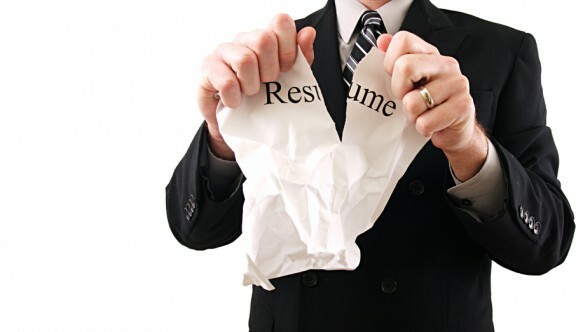 Yes, the Traditional Resume is Dead.